OJAI- Shortly after Ms. Finley-McGill’s TOAD talk last month, students discovered a transformed fiction room with new furniture and amenities. The room now houses new tables, chairs, lamps, magnetic whiteboards (with magnetic poetry), arts and craft supplies, and more accessible electrical outlets. Chairs and tables are easily moved, stacked, and folded—a stark contrast to what is found in a traditional library where mobility and commotion is often severely restricted. “Our library is in need of some updates and I hoped this would be a way to bring awareness to it with a small incident of positive change,” explained Library Director Ms. Finley-McGill. Ms. Finley-McGill has been planning the refurbishment of the fiction room for six months, beginning this past summer. Originally only showcasing the Human Rights Coalition’s One Thousand Cranes project, the makerspace now includes games, knitting tools, rope tying exercises, origami and crafting supplies. Ms. Finley-McGill has also hosted two Makerspace Nights: events where supplies for making Mother’s Day and birthday cards, as well as robot and paper bird construction, are provided to students. When she first unveiled the room to students this spring, there was a mixed reaction amongst the Thacher community. Faculty member and Chair of the English Department, Jake Jacobsen has taken advantage of the new space. Some students, however, were skeptical of the abrupt change. Auden Ehringer ’15 described her first impression of the room. Ehringer, along with other students, also cited practical problems that were not addressed in the refurbishment project, including poor Wi-Fi signal in the room. Ms. Finley-McGill said that she did not realize the problem existed until more students used the fiction room after the refurbishment, an indicator that students are interacting more with the library. She added that this predicament only affects newer models of Macbooks and Mr. Bill Vickery will be laying out more routers in the room this summer. A few incidents of offensive remarks left on the whiteboard were reported after the launch of the refurbished room, a time when student grievances were most widespread. Some students have questioned the quality of the furniture, yet the newly added pieces were directly ordered from modern furniture designer Herman Miller, an award-winning design firm that specializes in innovative work environments, and a custom George Nelson designed saucer lamp. Thacher’s non-profit status provided a 50% discount on the new furniture pieces. According to Ms. Finley-McGill, exposing students to different types of study environments and library workplaces is only part of her job, and she understands why students may have developed reactionary attitudes towards her refurbishment project. 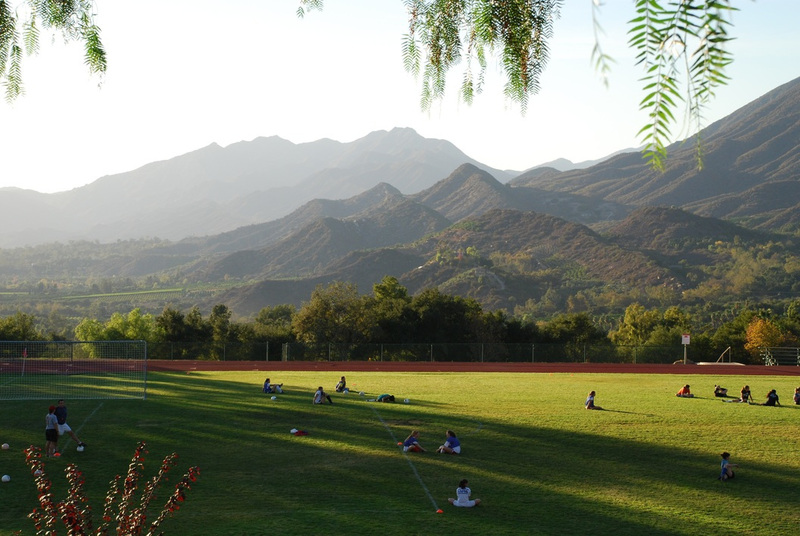 Her visits to other independent school libraries include Harvard Westlake (Upper School), Polytechnic High School, Dana Hall in Massachusetts amongst many others. Public libraries were also a source of inspiration for Thacher’s new fiction room. These include Cal State Channel Islands University, the Seattle Public Library, Princeton Public Library, and West Hollywood Public Library. Ms. Finley-McGill said students can look forward to more changes in the library. The unchanged mahogany furniture and white plaster walls outside the fiction room juxtapose the innovations taking place in Thacher’s library. Though the makerspace may have received a controversial reaction at first, students have now grown comfortable enough to share their new feelings via magnetic poetry.